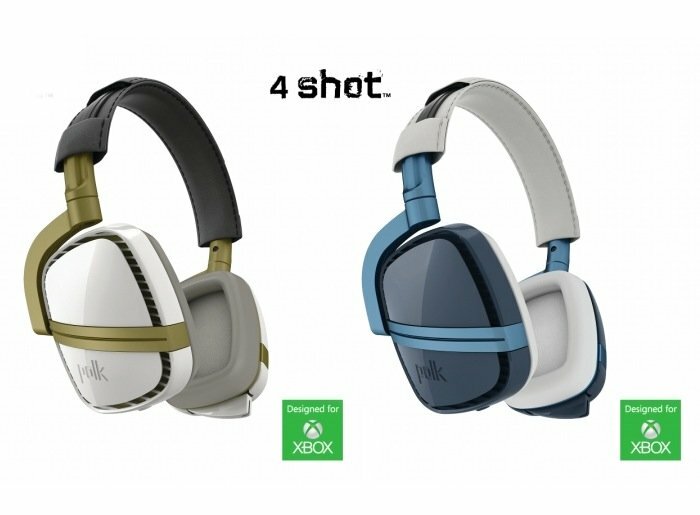 Microsoft Xbox One gamers in the market for a new headset might be interested to learn that the Polk Audio 4 Shot Xbox One headset will be launching on March 6th 2014 and will be available to purchase for $160. The 4 Shot Xbox One headset has been designed thanks to a collaboration between Polk Audio, 343 Industries the creators of the latest Halo game and Turn 10 Studios creators of the Forza Motorsport series of games. Microsoft will also be releasing their new Xbox One headset in March together with a new Xbox one compatible headset from Turtle Beach. Offering plenty of choice for next-generation Xbox One gamers to choose from if they headset is looking a little scruffy or needs upgrading to complement the new Xbox One console. For more information on the new 4 Shot headset jump over to the Polk Audio website for details.